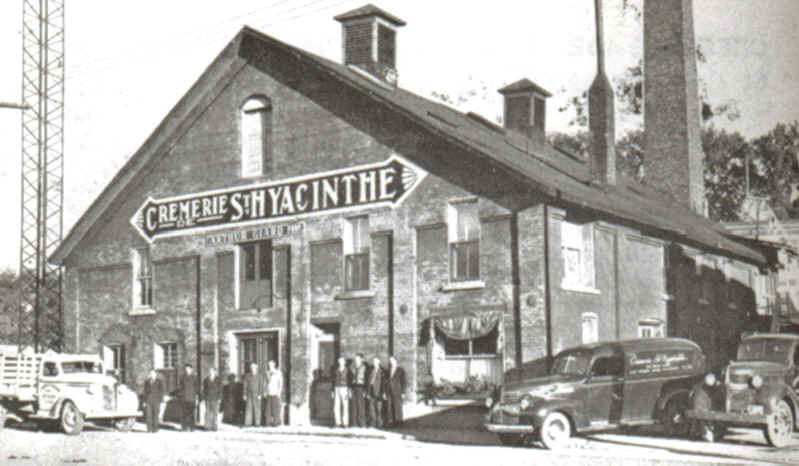 October 15, 1930, without any knowledge of this major industry, Mr. Arthur Giard, born in 1899, started in the dairy business, buying the "Crémerie de St-Hyacinthe" from Mr. Joseph Desautels. In those years, the product was at it's lowest price, enough to discourage any young entrepreneur. But with a little courage and persistance, he saddled himself to the business. After the acquisition of Mr. Desautels business, Mr. Giard added to his new business a concession which he purchased from Mr. Noël Lafrance in 1932, that of ice cream production. The following year, with the great success in the pork industry, he decided to purchase his brother's farm located in Sainte Rosalie. It turned out to be very successfull. In time, Mr. Giard bought, one after the other, all the small dairies in the area, building a great business. 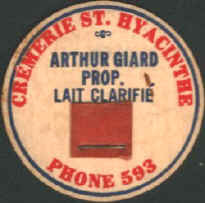 Mr. Giard's business was situated at the corner of Sainte-Marie and Sicotte Street. Today, all you can see there is a large municipal parking lot.